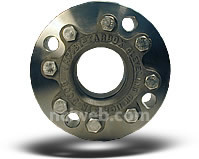 These bolt-on type style sight windows are designed for attachment to ANSI standard flanges or studding outlets with ANSI flange connection dimensions. There is no indicator so they are omni-positional. The Security Window incorporates all the fine safety features of the FM Approved Patented Dual Window. It will add protection against stress concentration, thermal shock, corrosion or erosion, over pressure, and external mechanical forces. Under severe corrosive conditions, request TFE lined Sight Windows Style 5005-TFE at reduced cost compared to glass lining. Special linings of rubber, FRP or PVC are also available. Jacoby-Tarbox introduces the next-generation of Tank Illuminators. The Phaeton XLT Series Tank Lights use the newest LED lighting technology to produce a bright, clean light for easy and safe viewing into any process vessel or storage tank. The Phaeton XTL Series Lights require less than one amp of power consumption and are rated for over 10 years of continuous operation - which can be extended indefinitely with the timer. The Phaeton's bright spots include the "view-thru" feature which eliminates the need for a second tank window, and the direct powered LED lights that remove the potential burning hazard to face and hands. However, it's the Phaeton's versatility that shines. 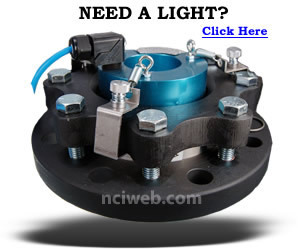 Both the 4-inch and 6-inch tank light easily installs over virtually ANY existing tank window. No on-site modifications are needed and installation is easy - three brackets are slipped over the retaining flanged and are secured. This unique mounting also brings the Phaeton directly against the window greatly reducing the reflected light associated with traditional units. Phaeton Tank Lights are maintenance free and can be removed for window cleaning without disconnecting plant power or de-pressurizing the vessel. The lights are available in 240VAC, 120VAC source, 6-inch or 4-inch light rings, and are FM Approved for hazardous environments.